By Purchasing Products from Get Bit Baits or using this site for any purpose means you agree 100% to our Terms & Conditions, if you do not fully agree then you should not use this Website or its products. Terms. The term user refers to you the customer, i.e. buyer. The term GBB refers to Get Bit Baits, i.e. the seller The Terms & Conditions of Sale refers to this agreement between the user you and the seller GBB. Modification of these Terms & Conditions. GBB reserves the right to change the Terms & Conditions, at any time, including but not limited to the charges associated with any product or service on this website including pricing”. You are responsible for regularly reviewing these Terms & Conditions each time before you use this site. Services or goods. We sell only high quality soft plastic bait products, if you are not satisfied with our product you should return them before the 30 days allowed for returns has past. 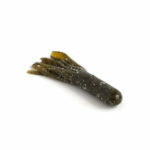 all our soft plastic baits manufactured in USA. Services or goods Disclaimer. GBB will process your order within 48 hours. you should receive your order within 3 to 7 business days. We will do our very best to get you your baits as fast as possible. Most orders ship the same day. Shipping & Handling. The Customer pays all shipping & handling. 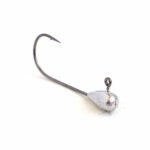 If for whatever reason your not satisfied with your perches from Get Bit Baits return them within 30 days for a refund. Returns are accepted only if the return is sent within 30 days of the delivery confirmation date. A full refund of the purchase price, excluding the shipping, will be made promptly upon receiving the merchandise in the same condition in which it was shipped, used or missing baits will not be accepted. All packages are to be fully insured. You must Contact Us of any return so that we will be expecting your package. Returns that are sent without our prior knowledge will be refused. Limitation of liability. GBB warrants that the merchandise supplied to any customer is without warranties of merchantability nor is there any other warranty expressed or implied. the obligation of GBB under this agreement is limited strictly to a replacement or at the sole decision of GBB, a full or partial refund of the customers purchase. Indemnification of Use. By using and ordering products from GBB or this website you i.e. the buyer agrees that you shall defend, indemnify, and hold GBB harmless from any and all demands, of expenses, liabilities, losses, costs, and claims, including but not limited to, attorney’s fees asserted against GBB its agents, its customers, officers, employees, and owners that may arise or result from any service or products provided or performed or agreed to be performed by GBB, its agents, employees or Owners. Customer agrees to defend, indemnify, and hold harmless GBB against liabilities arising out of, any personal injury or property damage, caused by any products sold or otherwise distributed, including defective products sold to customers from GBB or this website. Disclaimers. GBB will not be held responsible for any damages you or your business may suffer. GBB makes no warranties of any kind, expressed or implied for services or products we provide. GBB disclaims any warranty or merchantability or fitness for a particular purpose. This includes but is not limited to, loss of data, loss of sales, or any other capital loss, personal injuries, damage to any equipment, resulting from delays, wrong parts, wrong delivery, defective parts, any and all service interruptions or lose of an order caused by GBB and its employees or owners. all parts and services are provided “as is,” with no representations and warranties. GBB reserves the right to cancel any order for whatever reason we see fit. Typing or Pricing Errors. In the event a product is listed at an incorrect price due to typing error or human error GBB reserves the right to refuse or cancel any orders placed for that product listed at the incorrect price. GBB reserves the right to refuse or cancel any order or orders do to a pricing error, even if the order has been processed and your credit card charged. If your credit card has already been charged for the product and your order was canceled, GBB will notify you of the situation and issue a full credit to your credit card account within 1 to 3 business days. Payment for goods and payment of applicable taxes. The customer must pay all shipping & handling charges and any sales or use tax. In the state of Wisconsin a 5.5% sales tax will be applied to each order. All Our Online Financial Transactions are handled by PayPal.com Most major credit cards accepted no account is required.